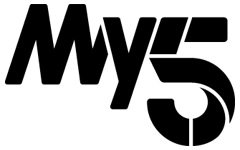 UPDATED | Channel 5 owner Viacom is replacing its timeshift service Channel 5+24 with a new service called My5, named after the broadcaster's on-demand service. Launching in August, My5 will be available on all major platforms and promises to be “fast reacting, topical and relevant” and will feature recent programmes across all platforms, catch up TV, box sets, themed schedules and programming curated around talent or themes. The schedule will be synchronised with the My5 VOD service and the hope is that the channel will further the reach of a number of programmes from across the Channel 5 portfolio of channels. This week, Viacom officially had its Channel 5+24 broadcast licence amended to the new service. Channel 5+24 launched in 2014 after being developed as "5 Later". The channel initially offered a 24 hour timeshift of it's post-7pm schedule with different version on Freeview and satellite and cable services. It was seen as a response to Channel 4's 2012 launch of catch-up channel 4seven. BARB ratings data for the week ending 10th July, the most recent available, indicate the most watched programme on Channel 5+24 was Can't Pay? We'll Take It Away! with 90,000 viewers. I'm angry about the multiple retunes required for HD channels around the Olympics. My elderly aunt can't cope with retuning her PVR, I've just done it for her. I will next be visiting her in December, what's she supposed to do in the meantime waiting for me to retune it again? It's high time the broadcasters realised some people can't cope with retuning and need help, so the broacasters should aim to minisise retuning events. But instead we seem to be getting more and more of them, as if it's fine for us to retune on monthly basis. Why? Hello Owen, I have every sympathy for you and your aunt, but the reality is that retuning events occur frequently for both commercial and technical reasons. Channels come and go as entrepreneurs try to start a business and sometimes fail; the limited capacity has to be constantly juggled to accommodate events like the Olympics, or the fact that we have to clear the 700MHz space from next year, which will bring another slew of retunes. Really, the broadcasters cannot do anything about that -- the problem is with the PVR. I suggest that you replace your aunt's existing model with a newer one such as FreeView Play that retunes automatically without needing manual intervention.